This post was made possible by Positionly through compensation. The actual contents and opinions are the sole views of the author, who maintains editorial independence, even when a post is sponsored. For more details, please read our disclaimer. You run a website – but how do you judge your success with keywords? One way is to compare your keyword rankings with those of your competitors. Positionly offers this service, enabling you to compare and contrast your successful (or otherwise) keyword strategy. Offering a suite of tools and reports, Positionly can be used to determine whether your website’s keywords are projecting your website the best position in the search engine rankings, or if more work needs to be done. This might be used in conjunction with a Google Analytics account and a search engine optimization strategy for your website. Available with a range of subscription options, we’re reviewing the Premium ($49 per month) option which is included in the initial 14-day, no-obligations trial period. We’re giving away 10 Premium accounts valid for 6 months! 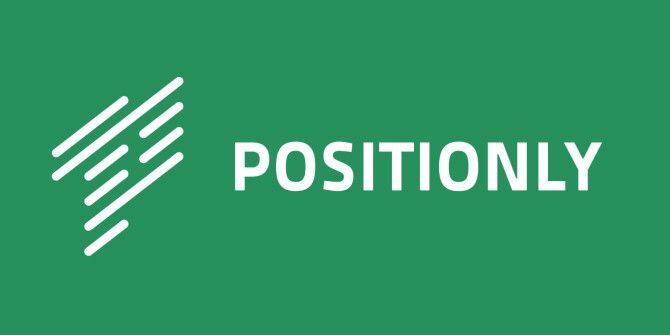 Read on to find out more about Position and join the competition to win an account. With a system like this, you want to be able to get started as quickly as possible, especially if you’re a busy blog owner. To sign up for a free Positionly account, you may choose to use the following options: Facebook, LinkedIn and Twitter. If you’re already using an account with one of these services then you can skip the sign-up process. To get the results you’re looking for with Positionly, you’ll need to Add your first website, the button for which you’ll see on the welcome screen. The process from here is simple: you add your URL, taking care to use either the top level domain http://example.com, or http://www.example.com which will only track the “www” subdomain. Positionly should begin retrieving information about your site, including its title. There are also options for including map and video results. The second step of setting up your Positionly account is to add search engines. Naturally, Google will be high on your list, and the options here happily include versions of the search engine worldwide. The benefit is two-fold – Positionly works as a system wherever you are located, and you can also check your website’s performance overseas. Bing and Yahoo! search engines can also be added, and it is at this stage that you get an idea of how powerful Postionly might be when it advises you that even more search engines can be added should you wish to upgrade. Keywords can be added manually, although there is a limit of 250 for the Premium account. There are several ways to extend this limit and earn additional keyword slots, including social sharing or linking a Google Analytics account. This latter option is particularly useful as a time saving measure. Rather than enter your keywords manually, they can be imported, either from a spreadsheet or from Google Analytics. Once you’ve connected this account you can then begin the process of reviewing and importing your keywords. Alternatively, upgrading to the Plus account for $99 per month, allows you to enter 1000 keywords. Note that there may be some duplication of keywords in this process. If this is the case, you’ll need to spend some time deselecting some of the keywords so as not to use up your allocation. Positionly will need some time to work on assessing your keywords, so it is wise at this stage to sign out and wait a day or so. When you sign in again, you should be presented with a list of your competitors and a brief assessment of how you’re doing in relation to them. If a rival website is missing, you can add new competitor to bring a new URL into the list, although results from this site will be delayed somewhat. The end result is that you can compare your website’s performance against that of your rivals, viewing progress with a line chart and generate reports that compare your success against all chosen keywords. Although a summary is provided on the main page of your website in Positionly, you’ll probably want to get down to the real details at some point, which will mean utilising the reports engine. Reports must be created, but Positionly offers all of the options for doing this. You can choose which of your competitors to include, a date range, and choose between various report types. Should you want to compare your performance against rival sites, you will need the Simple or Detailed reports. A Links report and Traffic report are also available, which don’t offer comparisons. The Generate Report button is available as a menu item on any screen, while completed reports – which are output as CSV or PDF – can be read in the Reports menu. There is one final, key aspect to Positionly, and that is the facility to extend functionality using Add-ons. For example, you might like to set up your account on the Positionly iPhone app for mobile access; you might also like to have the notifications that the Positionly system generates pushed to your computer, phone or tablet in an RSS feed. If you’re mobile, using this in conjunction with Google Analytic’s new alerts system How Google Analytics Alerts Can Email Or Text You About Site Problems How Google Analytics Alerts Can Email Or Text You About Site Problems Google Analytics offers a special alert feature that sends out an email or an SMS alert when any event happens on your site. Setting them up isn't as complicated as you think. Read More might be a good idea. For advanced use, the Billing add-on tracks the value of keywords while the Keyword Mixer is a very useful tool that creates variations of keywords that might not be in your list. Websites, user accounts and competitors are also restricted depending on your choice of plan. There is also a six monthly option that offers a 15% discount. Sign up for Positionly for free and try it for 14 days with no obligation or credit card required. Whether you’re new to SEO tracking or have some previous experience with it, Postionly is certainly a service to consider. Its wealth of report and keyword options and the ease with which you can sign up using other accounts certainly make it a service you should sign up for and sample – particularly if you’re concerned about the progress of your website and your competitors. How do I win a Positionly Premium account? This giveaway begins now and ends Friday, October 18. The winners will be selected at random and informed via email. Congratulations! If you were selected as a winner, you would have received your license via email from jackson@makeuseof.com. If you require any assistance, please get in touch with Jackson Chung before October 28. Enquires beyond this date will not be entertained. Explore more about: MakeUseOf Giveaway, SEO, Webmaster Tools. I don't use any SEO tools yet. I don't have a site yet. I don't have a website for now. Right Now I am not having tool for improving SEO. I mostly just use Google Analytics and a log of successful and unsuccessful tactics. Additionally, I use Juxseo for simple initial reports. I'm not using any SEO tools for now. I have no site & use no tools. I am not using any. I have been doing SEO manually on all my sites which gives me more control. Using SEO Profiler to track the performance and Google Analytics is always there. I use google analytics for my websites at the moment. I use Google analytics for all my websites. Google analytics all the way! I am using a free seo plugin which is available in wordpress. I read marketing material to improve SEO. I use free SEO Tools till now.